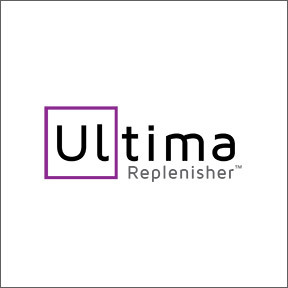 Professional Supplement Center now carries Ultima Replenisher™, a line of pure and simple electrolyte powders made with real fruit flavors and plant-based colors. Ultima was founded by a nutritionist and long distance runner who created Ultima in 1996, specifically for the U.S. Track & Field athletes who were competing in the Atlanta Olympic Games. Today, Ultima is formulated for the benefit of the everyone from toddlers to seniors to vegetarians and vegans. Formulated with calcium, magnesium, phosphorus, potassium, selenium, sodium, zinc and chloride, as well as support minerals, this great tasting, effective combination allows for rapid rehydration. This advanced, balanced, readily absorbable formula provides essential electrolytes for optimal hydration and critical performance. This zero carbohydrate, zero calorie, low glycemic formula is sweetened with stevia leaf and contains no added sugars or artificial ingredients. Naturally flavored with oranges, lemons, pomegranate, raspberries, cherry powder and real grape skin, all formulas are gluten free, vegan, and Non-GMO. Ultima Replenisher™ Balanced Electrolyte Powder Cherry Pomegranate Canister – SAVE 12% Simply add one scoop to 8 – 12 ounces of hot or cold water and mix well. Flavored with natural pomegranate and cherry and colored with beet juice and beta-carotene. Additional flavors include natural grape, lemonade, and raspberry. Container provides 90 servings. Ultima Replenisher™ Balanced Electrolyte Powder Drink Mix Variety Pack – SAVE 12% For hydration on- the-go, these handy single serve stick packs contain all 5 delicious flavors in one box. Flavors include grape, raspberry, lemonade, orange and cherry pomegranate. Twenty sticks per box. Ultima Replenisher™ Balanced Electrolyte Powder Drink Raspberry – SAVE 12% Individual flavors are available in handy single serve stick packs. Two sizes, 10 or 20 sticks per box. Additional flavors include grape, lemonade, orange and cherry pomegranate. Ultima Replenisher™ is proud to partner with The Autism Hope Alliance (AHA), supporting Autism families through education, financial support, volunteerism and social responsibility. As a Non-GMO, gluten free, dairy free, sugar free, artificial ingredient free drink, Ultima Replenisher™ is AHA approved as a healthy alternative to sugar and artificial ingredient laden sports drinks. This entry was posted in Home and tagged Professional Supplement Center, Ultima Replenisher, Ultima Replenisher™ Balanced Electrolyte Powder Cherry Pomegranate Canister, Ultima Replenisher™ Balanced Electrolyte Powder Drink Mix Variety Pack, Ultima Replenisher™ Balanced Electrolyte Powder Drink Raspberry, Vitamins and supplements, www.professionalsupplementcenter.com. Bookmark the permalink.